Take a look at this video by GuruAidTechSupport, showing a new Samsung Galaxy S8 running the Dolphin emulator (for GameCube and Wii games) almost flawlessly. Dolphin has been available on Android for a while now, but mostly as an experimental/developmental tool, not as a practical way to play games (mostly because performance was completely garbage). This year, on this kind of hardware (last year’s phones weren’t quite there), it’s ready to play games. 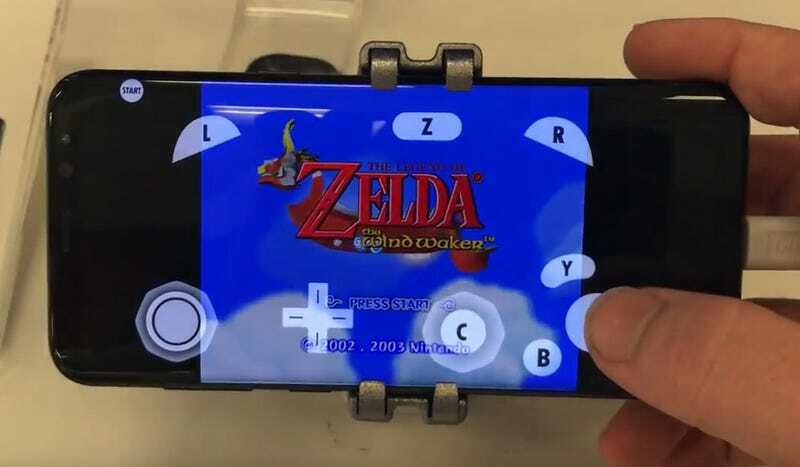 I mean, this isn’t just footage of Mario Sunshine, Wind Waker and Smash Bros. running, they’re running nice and smooth, and while the on-screen buttons are a nightmare, it’s a cinch to get a bluetooth controller working on an Android phone. I’m sure loads of people would love to buy and play GameCube games on their new Switch consoles, but until Nintendo can actually make that happen, I guess loads of people will make do with stuff like this.